Create and design a promotion for the Mcdonald’s and Coca-Cola partnership that grows both brand love and brand value. 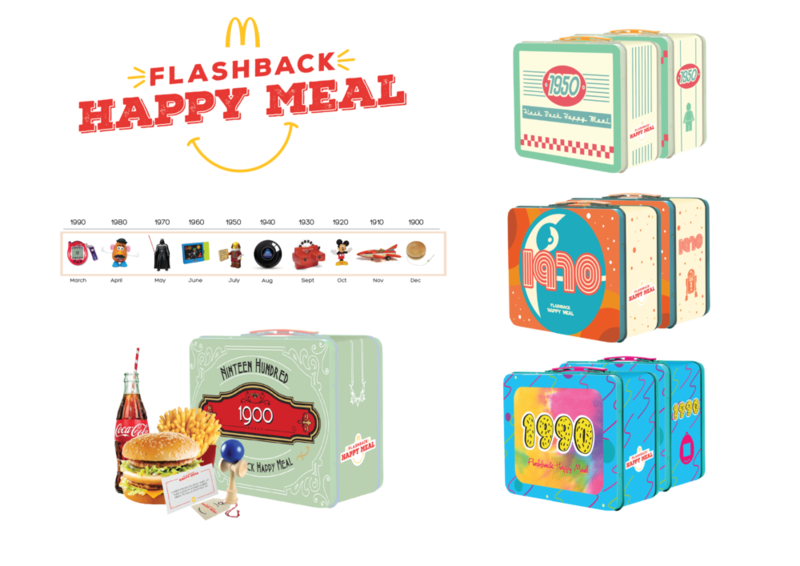 Inspired by the universal emotion of nostalgia, the Flashback Happy Meal inspires adults to relive the joy of childhood. Building off of the popular social trend of #throwbackthursday posts, this campaign encourages continued engagement among millennials with collectible, decade inspired, tin boxes and iconic vintage toys for a 10 month promotion preceded by an extensive, social media teaser campaign. Challenged by Coca-Cola to adapt the project to real world budget and time constraints for a launch in Italy, the concept was simplified down to the “Rewind the Fun” campaign with a specific hashtag to help with measuring user engagement. 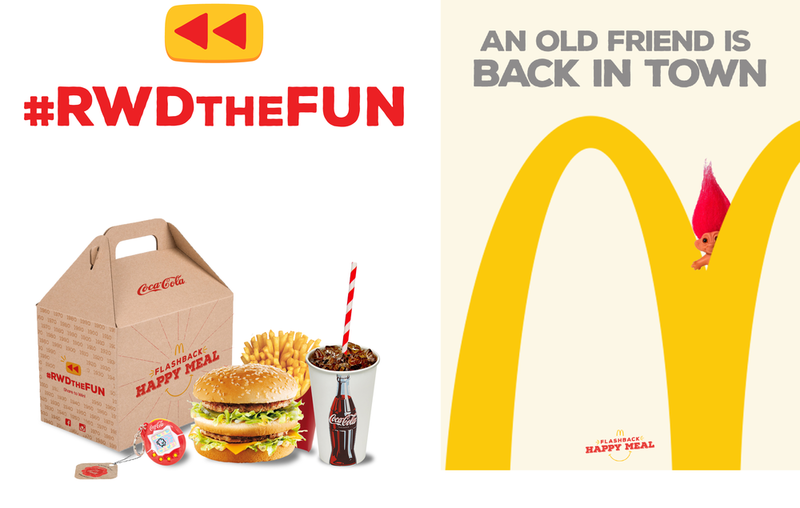 The revised Flashback Happy Meal includes branded cardboard box, large extra value meal with a vintage Coca-Cola bottle inspired cup design and a nostalgic toy labeled with a promotion tag. Advertising concepts relies on the iconic nature of the included toys. The 5 Coca-Cola branded toys are leveraged in weekly toy reveal posts on the Flashback Happy Meal social media accounts, which also share nostalgia themed trivia on the planned content calendar. Audience engagement is encouraged with a weekly sweepstakes, with a winner drawn from all posts tagged with the #RWDtheFUN campaign hashtag.